The quality of artificial crystals depends very much on the purity of the materials used. In some cases, the commerical compounds are adequately pure. 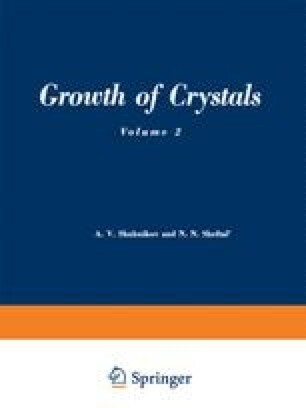 Thus the KCl, NaCl, KBr and certain other salts produced at home and abroad are often suitable for growing optical-grade monocrystals without prior purification. More often, however, the compounds are so impure as to be unsuitable for growing such crystals. The best that can be achieved in such cases is to produce more or less coarse-grained lumps consisting of several solid phases.